Without water, life as we know it couldn't exist. But despite its abundance, it remains a mysterious substance. Scientists discovered the componants of water in the late 18th Century, and it seems like a simple molecule - just two hydrogens and an oxygen. But it has some unusual properties - ranging from the fact that ice floats to the surface tension that allows insects to walk on its surface. These properties don't seem strange to us, as we are so used to seeing water, but when compared to other liquids it becomes clear how unusual water is. If, for example, you have ever left a bottle of olive oil somewhere cold, you will know that when oil freezes, the solid phase sinks in the liquid. Most other substances show the same behaviour, making water the odd one out. Some of water's unusual properties come from the fact that its shape allows it to form hydrogen bonds. The oxygen atom has a negative charge, and the two hydrogens are positive, so the oxygen of one molecule can attract the hydrogen of the next, forming a lattice of multiple molecules. But while this may explain some of water's weird behaviours, it still doesn't fully explain everything. Water freezing to become ice is something we are all familiar with, but there are still elements of the process that are mysterious. One example is the Mpemba Effect - the fact that, perhaps counter-intuitively, hot liquids freeze faster than cold ones. Explanations have been suggested - evaporation releases heat, and the warmer liquid’s higher rate of evaporation would reduce the mass to be frozen. Warmer liquids will also have more active convection currents which could release more heat and cool the liquid faster. Finally, the act of heating the water might have changed the impurities and solutes in it, changing the rate of cooling. However, none of these things can account for a big enough effect on the rate of cooling to completely explain the Mpemba effect. More complex explanations have also been hypothesised – many involving supercooling. Supercooling happens when something is cooled to past its freezing point but doesn’t freeze because there is nothing for the ice crystals to form around. In 1994 experiments showed that water that started out hot supercooled less than the initially colder water, meaning the initially hot water froze first and at a slightly warmer temperature. However, this explanation simply raises more questions, like why does the hotter water supercool less? But the Mpemba effect isn't the only mystery surrounding water as it cools. A recent observation using modelling software on supercomputers in Princeton University has shown that under certain conditions, water can exist at two densities simultaneously. Why or how this can happen isn't understood. Researchers are currently trying to replicate these results in real water, but as the conditions needed are extreme (the water must be supercooled) this is proving difficult. It is thought that there may be links between this kind of water and that found in cloud formations at high altitude, so understanding the weird and wonderful ways water can behave in extreme conditions could help explain the way our weather systems work. Another unusual property of water is that it is at its most dense at 4 degrees Celsius. Unlike most other liquids, water becomes less dense as it freezes, thanks to hydrogen bonding holding apart the molecules in solid ice. However why exactly water's maximum density should occur at 4 degrees Celsius rather than any other temperature is not clear. The critical point of a substance is the point where it can exist in two different forms, for example as a liquid and a gas. The critical point of water is incredibly high compared with other molecules of the same structure, for example H2S or H2Se. This is likely to be partly due to hydrogen bonding, but exactly how hydrogen bonds increase the critical point so much is not understood. Water has another interesting property - it can form molecular clusters which can be made up from anything from 2 water molecules to over a 100, in a wide range of shapes and arrangements. These could contribute to the high critical point, but how they would do this, or how they form the clusters in the first place, is still a mystery. The planet Venus is similar to Earth in many respects. Both are of a similar size and age, but Venus is slightly closer to the Sun. Given these similarities, It is possible (and even likely) that Venus at one point had abundant liquid water, much like Earth. If this was the case, however, where has this water gone? The difficulty in answering this question lies in detecting present rates of water loss and trying to establish past activity from these. While Hydrogen and Oxygen have been measured escaping from the side of the planet facing away from the sun in a two to one ratio (the same as that found in water) so far only Hydrogen has been detected being stripped from the day side of the atmosphere (the side facing the sun). If the right amount of oxygen is observed escaping the day side it might indicate water loss, however there is no proof that water is the source of these gases, so we can't be sure that water existed on Venus. Some of the most promising places for finding water in space are not in fact planets but moons. The search for water on Earth's moon has been of considerable interest for some time, due at least in part to the importance of a reliable water source for any future colonisation. The surface of the moon is too cold for liquid water to exist there, and without a significant atmosphere or magnetic field, any water vapour would be quickly broken down by sunlight. This means that any surface water that did exist would likely be in the form of ice. Measurements made by a variety of instruments on both lunar orbiters and probes have provided evidence for the existence of this water ice, and hinted that it is most likely to be found in deep craters near the lunar poles, whose interiors are shielded from sunlight virtually year-round. Unfortunately, the tentative results obtained so far will be extremely difficult to confirm without recovering and analysing a significant range of samples from the lunar region suspected of hosting water ice. Whether these are obtained by a manned or a robotic mission, this will be technically challenging because of the rugged nature of the terrain in these areas. Another moon that is thought to have water on its surface is Europa, one of Jupiter's moons. Scientists have reported water flowing up through the cracks in the surface caused by asteroid impacts and this fact, along with evidence of movement of large areas of terrain and the water smoothing out the surface all suggest it is covered in a sheet of ice with liquid water underneath. Temperatures on Europa’s surface range between 53K and 111K, much to cold for liquid water to exist. The water is thought to be kept liquid either because of a volcanic inner layer or tidal heating due to Jupiter's gravitational effects. However which of these is the case, and how thick the water layer is, is still under debate. Ganymede, Jupiters largest moon,has been known to have an ocean hundreds of miles deep since NASA's Galileo mission flew by. Now, a study led by Steve Vance of NASA's Jet Propulsion Laboratory in California has provided theoretical evidence that Ganymede may actually be composed of several layers of salty waters and ices - much like a club sandwich. Because of the huge pressures thought to exist on Ganymede's ocean floor, scientists had previously believed that the layer next to its rocky core would most likely be ice which was a problem for the idea that primitive life may have formed on Ganymede at some point in it's history. If scientists add salt into the equation, however, they find that the water becomes denser and sinks. Using computerised simulations and models, scientists have concluded that a likely composition of Ganymede's ocean is water sandwiched between up to 3 ice layers, with a salty liquid H2O layer next to the rocky sea floor. Now, researchers are searching for evidence that this computer simulation is true. For life as we know it to be viable, water is a necessity. We humans are composed of 60% water and can't survive more than a few days without it. The level of dependence does vary from species to species, however every organism we have so far discovered has some dependence on it. When searching for bodies that may be able to support life, scientists first look for Earth-like planets with surface liquid water. This is an obvious first step, with all life on Earth so completely dependent on the presence of water. However, just because it is the case on Earth does it mean this is true universally? We just don't know. It is possible that life forms have developed on other planets that have different needs because of alternative biochemistries. Scientists are fairly sure that some form of liquid is likely to be necessary but that liquid may not need to be water. If life can exist supported by something other than water, this raises the possibility that by limiting our search to those planets with water, we may be missing alternative forms of life. Despite covering 70% of our planet, we don't know where the water on Earth came from. Scientists originally thought that when the earth was forming, the sun's heat would have been powerful enough to vaporise any ice involved. This would mean that Earth must have acquired its water after it formed - perhaps via collisions with asteroids. However evidence from meteorites that formed at the same time as the earth suggests that the water present did come from the original dust particles that made up the earth. However we don't know how much of the Earth's water was present at this early stage - some of it may still have been brought later through asteroid collisions. Learn more about structure of the earth. The Earth's water cycle is a very complex system, with a change in one variable often affecting many others. 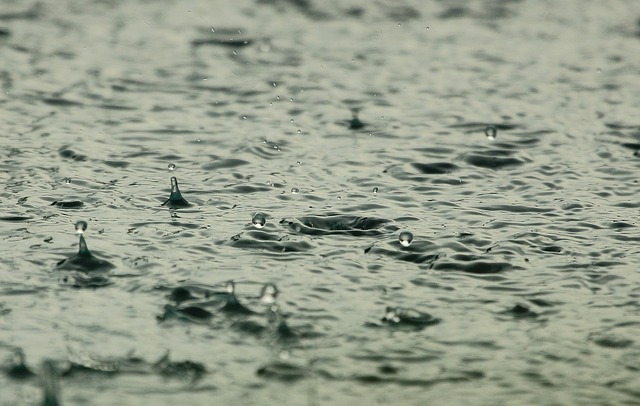 Predicting how rising global temperatures will affect the quantity and pattern of rainfall, for example, is extremely challenging, particularly on a local scale. Many models suggest that even if global rainfall increases, dry areas may become drier, which is bad news for animals, plants and people in these areas. Other areas, however, are likely to become wetter, with floods becoming more common. One thing we do know for sure is that rising temperatures will cause changes that will affect us all. It is vital that we try and improve our predictions to help avoid what could be devastating local effects of climate change. Another result of climate change is likely to be a rise in sea levels as ice melts and the water within the sea itself expands. This could cause many problems - the most obvious being that areas which are currently occupied by humans, animals and plants will end up underwater and uninhabitable. There may also be stronger storms that could devastate coastal regions. Unfortunately, predicting these effects is challenging - there are many factors that influence sea level, and exactly how these interact isn't known. As temperatures rise, weather patterns are likely change, as will the rate of evaporation of the sea, and the amount of water the atmosphere can hold. How exactly these factors, and others, will influence sea level remains to be seen. Some of the last remaining areas of our earth that are yet to be explored are in the oceans. Their sheer size as well as the difficulties encountered with light and pressure as we venture deeper, means it is predicted that for each species of marine life we know about, there are at least 3 we are yet to discover. Without knowing what is down there, it is impossible to predict how the changes we are causing to the oceans might affect creatures living there. 97% of water on earth is salty, 2% is locked up in snow and ice, leaving only 1% that can be used by living creatures - including us. As well as drinking and cooking, most of us use water for washing, and many of the products we use require water to be produced. Some of our water comes from surface sources such as rivers or lakes, but much is from groundwater sources, which are replaced only very slowly. We don’t actually know how large these water reserves may be, so we have no idea how long they will last at our current rate of use. Mapping potential water sources will help us to understand the size of these reserves and how serious a water crisis may be. One by-product of global warming is the melting of glaciers, which provides more fresh water, boosting the number of living things in the area around the glacier. While this may seem like a good thing, research has shown that it also reduces the diversity of the plants and animals nearby, putting cold-loving extremophiles at risk of extinction. Unfortunately, humans have had a huge impact on our planet's water systems. One example is through pollution, particularly that caused by farming. Pollution can lead rivers and other water sources to need more extensive treatment before being drinkable, wasting valuable energy and resources. While it is clear that this pollution must be reduced, the best methods to do so are not so obvious. Now, studies are exploring how pollutants move through rivers to better understand how to work with farmers to reduce their contributions to pollution. As well as requiring energy to treat so we can drink it, pollution can have a negative impact on wildlife. In some cases, animals may realise the water is unusable so they have to travel further or compete with others for remaining usable sources, which can be dangerous. In other cases the pollution may be more subtle, so they animals don't notice it and continue using the water. In some cases this can have long term health effects - mercury poisoning, for example, is thought to cause problems in young animals. Studying how different pollutants may affect different species is difficult as natural variables are impossible to control, and are sometimes unknown, but it is vital if we are to prevent further harm being done to our wildlife. One particularly worrying form of pollution is microplastics - tiny fragments of plastic found in the sea. Some of these are generated directly, to use in face and body scrubs, toothpastes and other beauty products, while others are produced when larger pieces of plastic break down. They are too small to be seen by the human eye, and because of their small size they aren’t filtered out during wastewater treatment. That means they wash down your plughole and straight out to sea, where they are an attractive food source for small marine animals. Recent research has shown that marine worms fed microplastics ate less real food and therefore grew more slowly than those that were not fed the plastics. It isn’t known what knock on effect smaller worms could have on the rest of the food chain. Another worry is whether the toxic substances produced when plastics break down could be passed on up the food chain, damaging more wildlife, and possibly even humans. Many people are still without access to clean water, so new ways to provide drinkable water sources are under development. In many places, water is abundant, but it is unusable because it is salty. Desalination Plants which convert sea water into fresh water are increasingly being built but they require a lot of energy. There are several small devices such as Watercones which use solar energy to purify salty or brackish water; these are very useful to countries with a very small amount of available water such as Africa. However many people are still looking for one truly satisfactory way of providing water; it must be cheap, not require a lot of energy and must provide enough clean water for our daily needs. Some potential water purification solutions involve using natural products such as 'super sand' (graphite coated sand) and seeds of the Moringa Oleifera or "miracle tree" to remove impurities and kill bacteria. Scientists have recently discovered that these seeds contain a protein which causes the bacteria's membranes to clump together, so they die and the resulting solids sink to the bottom, leaving clean drinking water behind. It has also been determined that harvesting during the rainy season ensures the seeds are at full maturity so that they are as effective as possible. It is hoped that Moringa Oleifera could be grown by those in rural areas of developing countries which it can be used as a food source, as well as to purify water. However more research is needed before we can be sure just how effective it is, and say that water treated using this method is definitely safe to drink. Even in countries with effective water treatment systems, the water from our taps isn't completely pure. While the waste water from our toilets and baths is processed before becoming drinking water again, there are substances that can't be removed. One class of substance that may be concerning are the medicines that are taken on a regular basis by a large percentage of the population, such as contraceptive pills and antidepressants. We know that much of the dose taken passes straight through us, and it isn't removed during processing so it can build up in the water supply. These substances haven't been around for long enough for us to know if low level constant exposure is harmful. Recent studies in fish have shown that trace amounts of certain psychoactive drugs (drugs designed to affect the brain) can produce real side effects. The amounts in drinking water are most likely too small to affect adults, but there could potentially be some risk to unborn children when pregnant women are exposed. However it remains unclear whether the quantities of these drugs which make it into the water supply are significant enough to have any effect at all. Studies are yet to be published involving the reaction of mammals, let alone humans, to doses at this level. This article was written by the Things We Don’t Know editorial team, with contributions from Jon Cheyne, Freya Leask, Ginny Smith, Cait Percy, Johanna Blee, Grace Mason-Jarrett, Kat Day, Rowena Fletcher-Wood, Joshua Fleming, and Holly Godwin. This article was first published on 2016-01-21 and was last updated on 2018-02-05.